Over the last several months, Frick and Frack have covered the key factors that influence the decision making process. In this month's Construction Safety Video Blog, they get serious and talk about the very real costs of non-compliance with good safety practices. People are willing to take risks; it’s a part of human nature. But risk tolerance is much higher when they don’t perceive the true costs of non-compliance. Of course safety is important to your crew and their families, but the costs of failing to meet safety standards are higher than you might think. Workplace injuries cost the U.S. an estimated $250 billion annually! 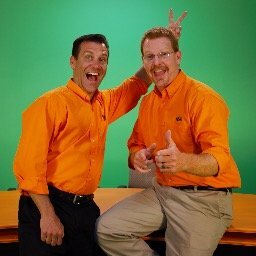 This duo will be back next month to talk about being overly confident in your equipment. While you wait, educate your people on the true cost of non-compliance. To learn more on how to train properly, keep your facilities in compliance and foster a safe work environment, download our guide to construction site safety today.